The Road to EVO 2013 has been officially announced. Getting ready for these tournaments leading up to the World Championship has you training day and night. And truth be told, you’ll need a fight stick capable of sustaining the damage and beatings these competitions put on them. The biggest mistake some fighters encounter when doing battle: stuck buttons. Once that happens, you already know the outcome. K.O.!!! Don’t doesn’t have to be your fate at the upcoming EVO Championship Series. 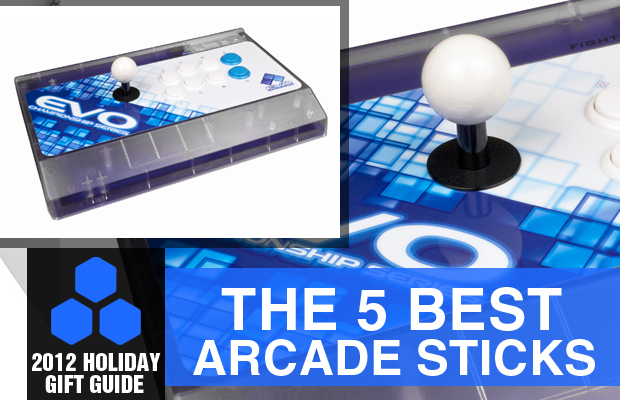 So as we hit the final holiday stretch, you’d be wise to scribble in any of the 5 Best Arcade Sticks onto your wish list. Trust us, these things can take a hit. Hmmm always looking into fight sticks at times. Great list.